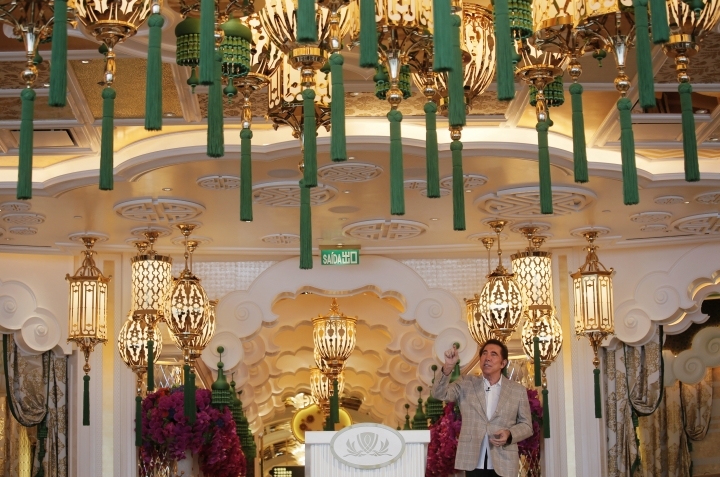 MACAU — From a pair of giant golden dragons encircling a vast man-made lagoon to phoenix and cloud motifs inside, Steve Wynn's Macau resort brims with auspicious Chinese symbolism. 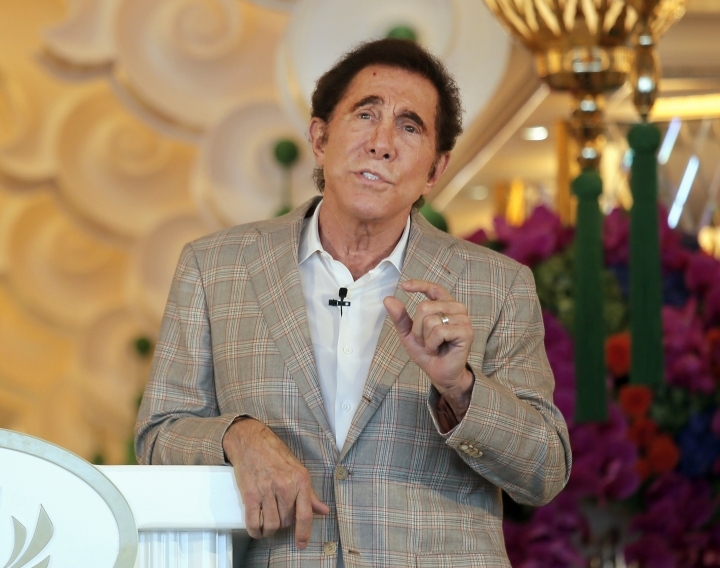 The U.S. casino mogul will need luck on his side as he launches his $4.2 billion Wynn Palace project in the gambling hub on China's southern coast, where growth is downshifting after years of turbocharged expansion. Macau, a former Portuguese colony near Hong Kong, is the world's biggest casino market, with revenues four times those of the Las Vegas Strip. But China's slowing economy and President Xi Jinping's crackdown on corruption are crimping the lavish spending by Chinese high-rollers that powered Macau's boom years, putting casino operators under pressure. Monthly casino revenues have declined for 26 straight months and the market has shrunk by a third to $29 billion. 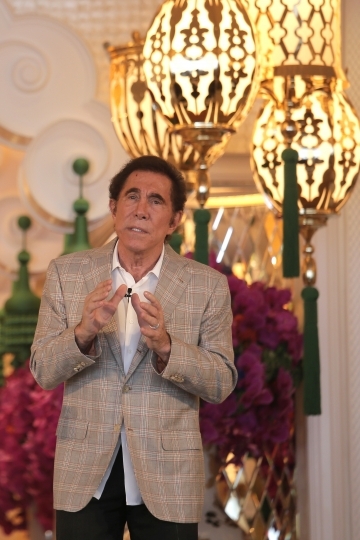 In an interview Tuesday ahead of the Wynn Palace's opening next Monday, Wynn acknowledged that Macau's glory years are over, but he was still optimistic. 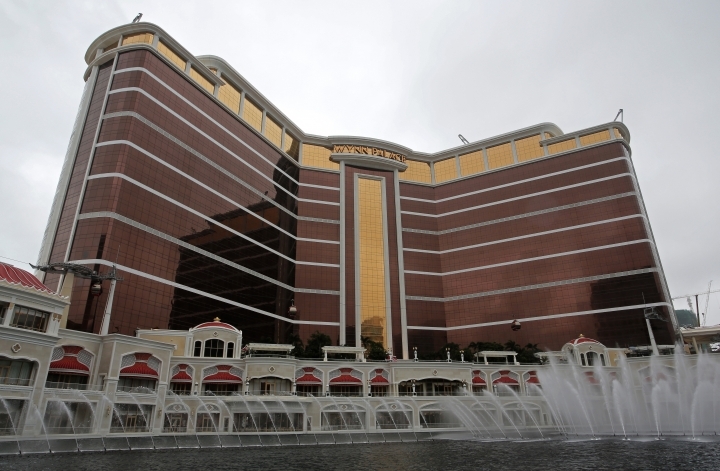 "What took place here in previous years was an anomaly," said Wynn. "The amount of revenue, the rate of growth was unprecedented and historic and in many cases not just extraordinary but outrageous." Growth now is "representing more normal patterns of human behavior, and that applies as well financially." 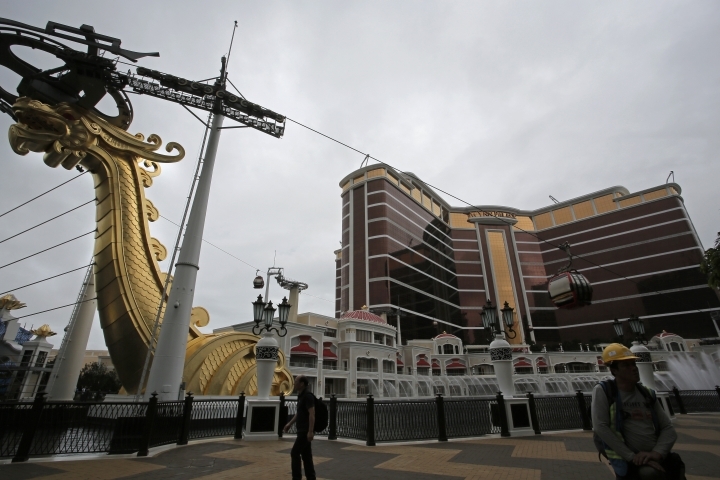 Current opportunities are "wonderful," said the 74-year-old CEO of Las Vegas-based Wynn Resorts Ltd.
China's Communist Party leaders want Macau, the only place in China where casino gambling is permitted, to give up its reliance on so-called VIP gamblers, who often have been corrupt mainland Chinese government officials or executives at state-owned companies. Instead they want more "non-gaming" attractions to lure middle-class families and help turn the city of 567,000 into a prominent Asian tourism destination with a more sustainable growth model. Worried over capital flight, Beijing has been tightening scrutiny of VIPs suspected of using Macau as a money laundering hub to spirit money out of the mainland via casino junket operators — shadowy middlemen who help skirt Chinese capital controls by lending money to gamblers. Signaling their resolve to rein in gambling growth, Macau's regulators last week granted Wynn 150 new gambling tables — 100 now, the rest later over the next two years, less than the 250 given to other recently launched casino projects. Wynn said he was satisfied with that number. "It's better to have fewer tables that are fully busy than a lot of tables that are just sitting there for a few shifts and aren't used," he said. The new resort will have a total of 350 tables at its launch, including 250 existing ones shifted from Wynne's first Macau casino. Some 50-60 will be for high-spending VIP gamblers, the rest for mass market customers, Wynn said at a news conference Wednesday. He wouldn't specify whether the VIP tables would come from new or existing tables, saying "the tables all merge together." Starting in 2013, Macau regulators capped the number of new tables granted to the city's six casino operators, to limit growth to 3 percent a year. 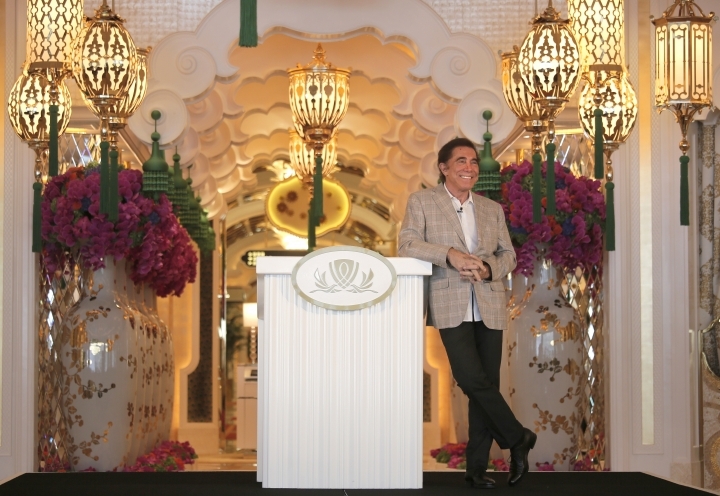 The new casino, six years in the making, comes a decade after Wynn opened his first resort in Macau. Reporters got a sneak preview ahead of its opening, as workers scrambled to put finishing touches on the resort's landscaping, outdoor lighting and shops. The lavish decor and extravagant features Wynn is known for abound. The 1,700 guest rooms overflow with gold trim. Cabinet handles are in the shape of horizontal figure eights; the number is considered lucky in Chinese culture. Some rooms have gold-plated, hand-etched crystal glass sinks and penthouse beds have 800-thread count Italian linen sheets. In one hallway sits Tulips, a $33.7 million, 3 ton stainless steel sculpture by artist Jeff Koons. Visitors can take a 10-minute ride around the lagoon in a gondola-car whose cables are supported by the giant golden dragons, and watch a show of more than 1,000 fountain jets and 2,000 LED lights choreographed to Beethoven's Fifth Symphony, Chinese pop songs and other tunes. 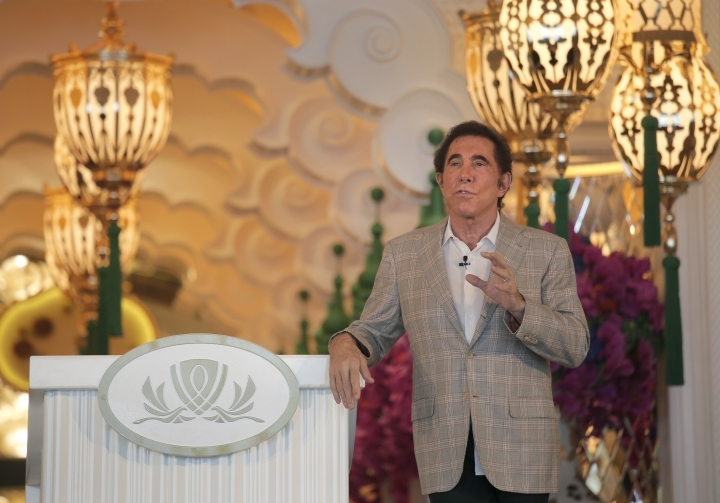 Wynn said that while China's slowdown to its weakest growth in a quarter century last year could hurt customer spending, he was too busy to pay much attention to goings on in Beijing. "The policies of the central government are only tangentially important to us because we're in the middle of delivering a service," he said. "In the long run, the economy of China is going to affect all my customers and their ability to recreate, but on a day-to-day basis it's not part of our script, it's far away from us compared with the demands of the moment."